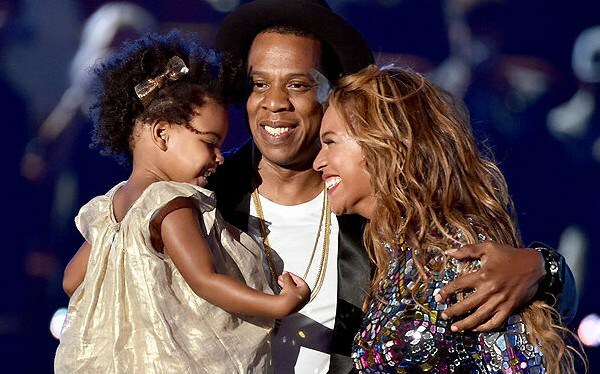 Here’s A Vine Of Blue Ivy Telling Everyone To Tell Beyonce “Good Job” After Her VMA Performance | FVCK YO ENTERTAINMENT! A couple weeks ago, Yonce dismantled the MTV VMAs stage–metaphorically, of course–performing part of each song on her album prior to accepting the Video Vanguard award. The performance was stunning, especially for her daughter Blue Ivy, who broke out in a semi-dance while sitting on Jay Z‘s lap when her mom performed “Flawless”. After the performance, as Blue and Jay walked through the tunnel, Yonce Jr. wanted to deliver this message to her parents, and everyone else walking through the hallway with them. Watch the clip here, and try not to get all googly-eyed at your desks, people. GUARANTEED ROUND THE CLOCK UPDATES OF YOUR FAVOURITE CELEBRITIES, EVENTS, MUSIC AND ENTERTAINMENT.